The Cinder Warren sleeps upto 6 in 3 bedrooms. 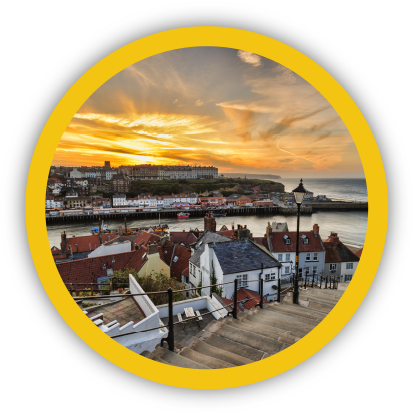 Located overlooking the wonderful viaduct on the Whitby to Scarborough Cinder Track, it is the perfect base from which to explore the local countryside and the North Yorkshire coast. The Cinder Warren is a wonderful family property in a very private corner plot with easy access to the Cinder Track. 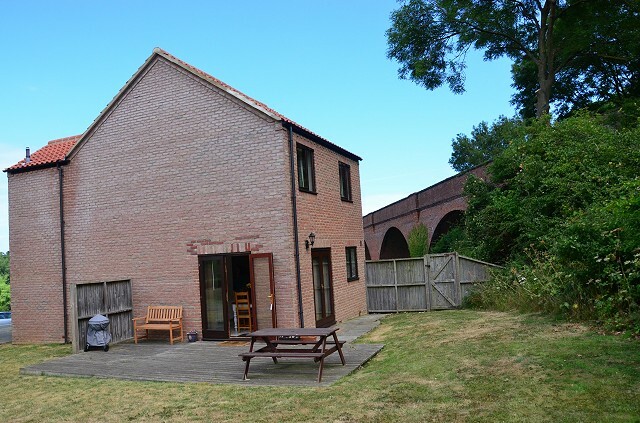 It has a large grassed area there’s plenty of room for the children enjoy the great outdoors. A picnic bench outside overlooks the grassed area so you can watch the children whilst enjoying the sun trap. There are two playgrounds for all the properties within the small development to use, one for the little ones and one for the slightly older children. Within a 20 minute walk or short bike ride along Cinder Track you can be in Whitby. Whitby's beach is a fantastic sandy stretch for traditional family days out by the sea, complete with donkeys, sandcastles, beach huts and good old fish and chips. The town of Whitby is still very much a bustling working harbour with the fishermen bringing in their catch every morning. The town is full of cobbled streets, quirky shops, good restaurants and local pubs. Whitby Abbey stands on the hillside overlooking the harbour. The resorts of Sandsend, Staithes and Robin Hood’s Bay are further north, and to the south there’s the large seaside resort of Scarborough with its long promenade running through both bays. The North York Moors Steam Railway runs from Whitby to Pickering and the North York Moors National Park is on the doorstep. The Cinder Warren really is a great place from which to explore the Whitby area!